We load our dishwashers, close its door and let the water flow in; remarkable how this appliance does all of its work behind a tightly sealed door with plumbing fittings perfectly set. But even this highly reliable household appliance needs to be checked over a couple of times a year to make sure all is working well underneath the sink and to keep your Dishwasher Appliance Repair to a minimum. No doubt it will need some wiping down—white vinegar on a clean rag is good. This will remove the build of mineral deposits. Be sure to do the same cleaning around the inside edges, too. Ideally, you should be able to simply remove the drain cover inside your dishwasher. A large particle of food, for example, could get hung up here, but chances are the drain will be clear. Grab a pair of tweezers to remove any food particles, or to open up the holes that might show a buildup of mineral deposits. 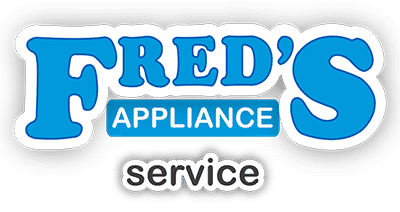 Keeping your kitchen appliances up and running is what we do at Fred’s Appliance. 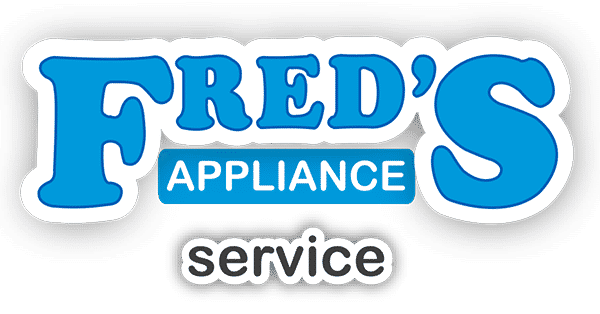 We offer a fully-trained team of appliance technicians available for service requests throughout all of Lake, Geauga, Ashtabula, Portage and Cuyahoga counties…and Cleveland, Ohio. 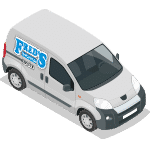 Contact us or more information on our services, including appliance-tech training as well as parts and tools availability.